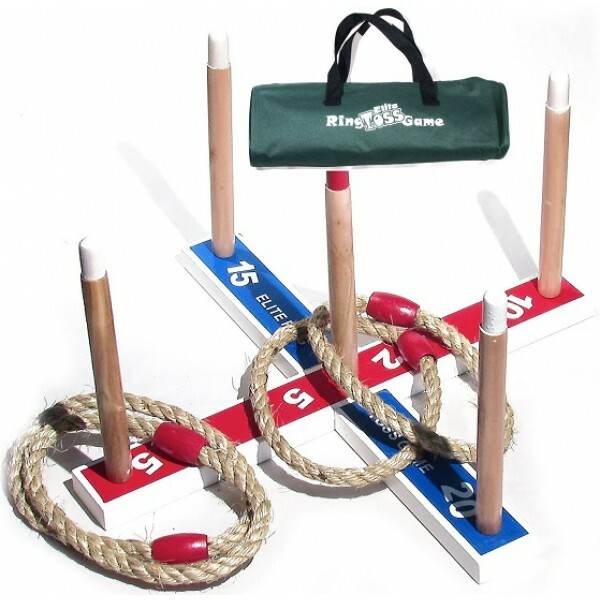 Play the classic game of ring toss at your very own tail gate party, camping trip, or backyard BBQ -- or bring it indoors for fun in bad weather! 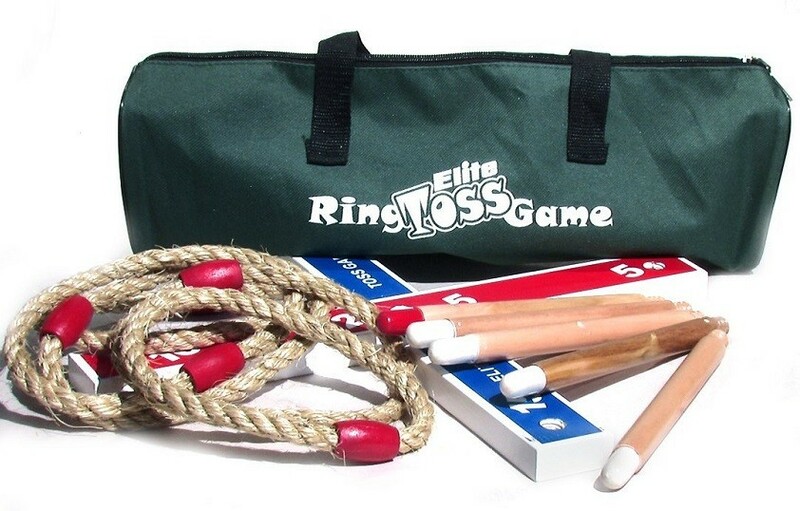 Great for improving hand-eye coordination, precision, accuracy, and a child's basic addition skills, this set from Elite Sportz includes 5 pegs with score numbers, 5 rope rings, and a compact carrying bag. For more great games to play outdoors and in, visit our Outdoor Games Collection.